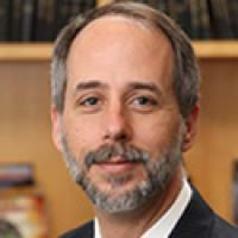 Jeff Holmes is a Professor of Biomedical Engineering and Medicine at the University of Virginia. He obtained his B.S. in Biomedical Engineering from the Johns Hopkins University in 1989, his Ph.D. in Bioengineering from the University of California, San Diego in 1995, and his M.D. from the University of California, San Diego in 1998. His first faculty position was at Columbia University, where he helped found and build a new Biomedical Engineering department from 1999 to 2007. In 2007, Dr. Holmes moved to the University of Virginia, where he heads the Cardiac Biomechanics Group. His laboratory studies the interactions between mechanics, function, and growth and remodeling in the heart, using a combination of computational and experimental models. His research has been funded by the National Institutes of Health, the National Science Foundation, the American Heart Association, the Whitaker Foundation, the Coulter Foundation, and the Hartwell Foundation. Dr. Holmes was awarded the Y.C. Fung Young Investigator Award in 2005, an American Heart Association Established Investigator Award in 2006, and is a Fellow of the American Heart Association and the American Institute for Medical and Biological Engineering (AIMBE). Dr. Holmes has taught a wide range of undergraduate and graduate courses including Computational BME, Fluid Biomechanics, Cardiac Mechanics, Soft Tissue Mechanics, Advanced Quantitative Physiology, Engineering Physiology, Biomedical Innovation, and Ethics for Biomedical Engineers.